At GAA we supply custom printed ribbon and woven hanging tape easily and affordably for individuals and businesses. With professional artwork design, plate making and automatic printing machine, our ribbon printing system can supply custom printed ribbon with water print, screen print, metallic print and raised print. Our ranges include grosgrain ribbon, organza ribbon, silver purl satin ribbon, cotton ribbon and woven hanging tape. 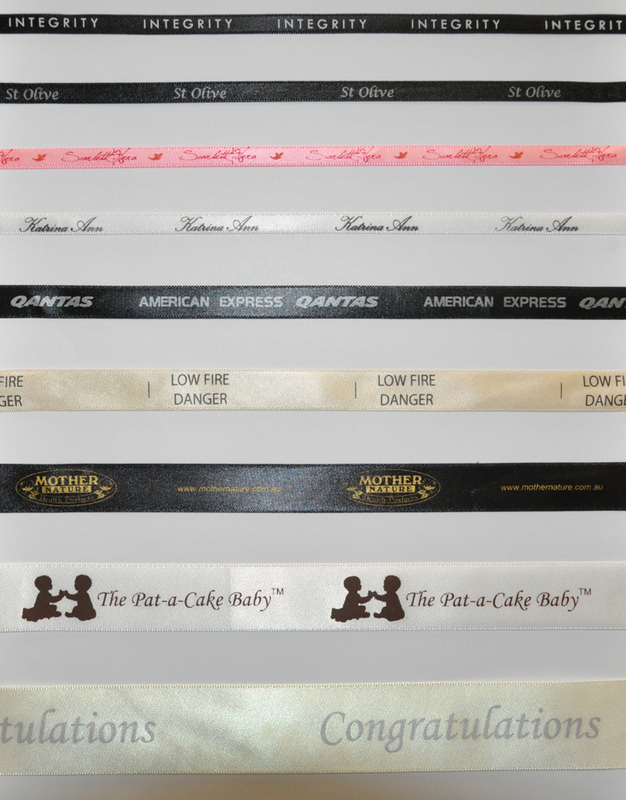 We can cut and heat sealed your ribbon to a certain length.